As a Mom of three, I’ve had quite a few years of experience in surviving the toddler years. I say surviving, because at times it can literally feel like you are in full-blown survival mode. Adrenaline is coursing through your body, pupils are dilated, your heart is beating at warp speed, and your body is primed for that fight or flight reaction when a lion is hunting its prey…only the scary lion is your toddler and you are the prey, cowering in fear. I can remember when my first son had just hit the toddler years and the shock that it was to have my sweet little baby turn into this two year old terror. I looked forward to nap time so I could fold the laundry, call a friend, or just curl up with a good book. Then, one day, my little guy decided he didn’t want to nap anymore. It didn’t matter what I tried, nap time became an endless battle and my son absolutely refused to stay in his room let alone give in to the sleep that his body desperately still craved. For weeks, I felt myself going into panic mode whenever nap time approached, dreading the battle that would ensue and the parenting tactics I would resort to in order to get my son to nap. Eventually, he did go back to napping and I maintained my sanity, but not without some serious close calls. The toddler years can bring out the worst in us as parents, especially when we are sleep deprived (toddler won’t sleep in their own bed), hungry (because the only food our toddler would willingly eat came off of our plate), emotionally spent (from fighting battle after battle with our toddler), and defeated (the battle may be over but we definitely lost). Toddlers are infamous for being self-centered, stubborn, chronically inflexible, and deliberately disobedient. Out of frustration and desperation, most parents attempt to control challenging toddler behavior by breaking the willful spirit of their young child. Typically, this looks like shaming (“you’re a bad boy for hitting your brother”), spanking (slaps on the hand or bottom), time-outs (forced separation on the stairs or in the corner), threats (“you will put your shoes on by the time I count to three or else…”), bribes (“if you are a good girl while we get groceries I will buy you a candy at the end“), or consequences (“you didn’t clean up the playroom when I asked so now you will lose your favorite stuffed animal at bedtime”). Believe me, I have been there myself many times so I am definitely not judging or looking down on any parents who find themselves relating to the examples above. 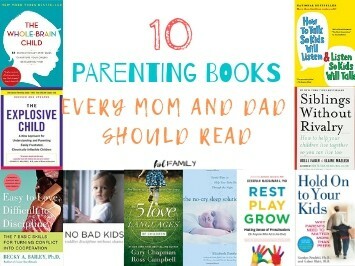 Parenting can certainly bring out the worst in us, especially during the toddler years. The problem is that this style of parenting views discipline as a form of punishment to address difficult behavior instead of viewing discipline as a method of teaching children the skills they need to be able to label their feelings, ask for help, listen to their bodies, and grow up to be emotionally stable human beings. When we respond to toddlers acting out with shame and punishment, we create fear and mistrust in the relationship with our toddlers and end up getting more of the behavior we were trying to stop. This type of parenting creates a vicious cycle of trying to control our child using threats, bribes and punishment, only to find our toddlers acting more out of control than before! 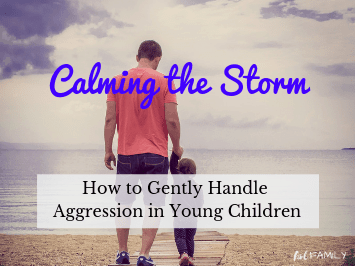 As the adult, it is our job to show patience, self-control, and stay calm in the midst of all of the chaos and not to take our toddler’s erratic behavior personally. You aren’t failing as a parent because your toddler refuses to eat their vegetables or take a bath. You may be thinking…that all sounds great…but what do I do when my two year old refuses to listen when I ask her to clean up and deliberately disobeys me by making an even bigger mess? The key to go from surviving to thriving during the toddler years is to learn to play detective when it comes to your toddler’s challenging behavior. 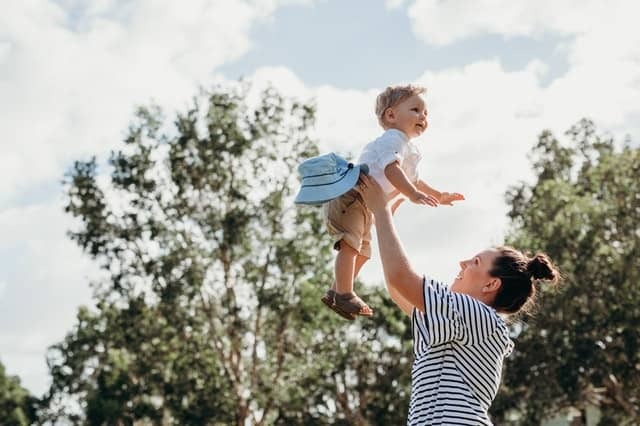 By learning to identify some of the underlying reasons why your toddler is acting the way that they are, you can begin to parent from a place of empathy and understanding and learn to prevent some of the behaviors from happening in the first place. 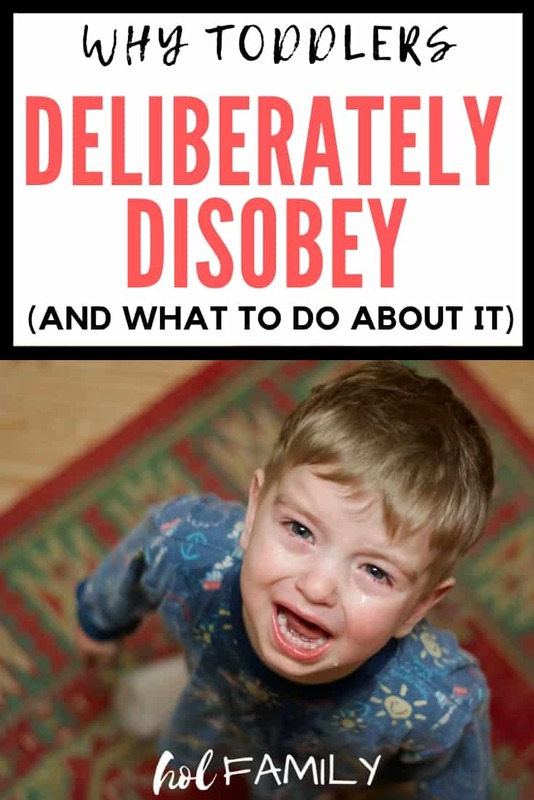 Check out these seven reasons why toddlers deliberately disobey and what you can do about it! The toddler years are a time of extreme growth and development. Their little bodies and minds are growing at a lightening fast speed and they are often the last ones to recognize their own physical demands for hunger and rest. I can’t tell you how many times I have been literally pulling my hair out over my child’s deliberate misbehavior only to later realize that they were actually just tired or hungry. I have personally found myself acting like a crazy person when I am hangryand I have years of experience in recognizing my own hunger and fatigue. Think about those public places that we most often see children having meltdowns…restaurants, shopping malls, and grocery stores…our poor toddlers who have a developmental need to play for a good portion of their day have been dragged from store to store, forced to sit still or hold our hands (when there are so many new and exciting things they want to explore), deprived of all of the enticing foods they see in the grocery store, promised a treat at the checkout for good behavior but then punished when they were unable to control their emotions. Can we really blame our toddlers for being tired, hungry and bored in these situations? Is it really their fault that they couldn’t hold it together or is it ours for putting unrealistic expectations on them? The Solution: Keep a predictable schedule when it comes to meal times, snacks, play time, naps, and bedtime. If you have to be out of the house over a snack time, bring along some healthy treats (sugar-laden snacks are just asking for trouble with toddler behavior) and activities to keep your toddler entertained (water paint books, stickers, a favorite toy). Keep nap times and bedtime holy at all costs. Yes, it may mean missing a fun event or eating dinner earlier than most senior citizens, but the toddler years will pass before you know it and the number of melt downs and power struggles that you will avoid make it totally worth it! 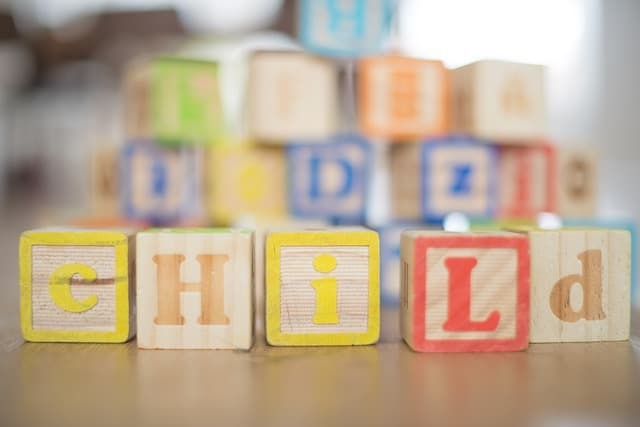 When toddlers are persistently pushing limits, it can often be a signal that they are experiencing a high level of stress and anxiety and they don’t know how to communicate it. Young children are as confused by their erratic behavior and wild emotions as we are. They have strong and overwhelming impulses to test limits, push boundaries, and explore their surroundings. I remember a time when one of my children was having a difficult time learning how to share. We were at a playgroup and all of a sudden my child hit a little boy with a toy drumstick. Instantly, all eyes were on me and I felt mortified. I was sure my child was going to grow up to be a bully. Most instances of aggression in young children stem from underlying anxiety. 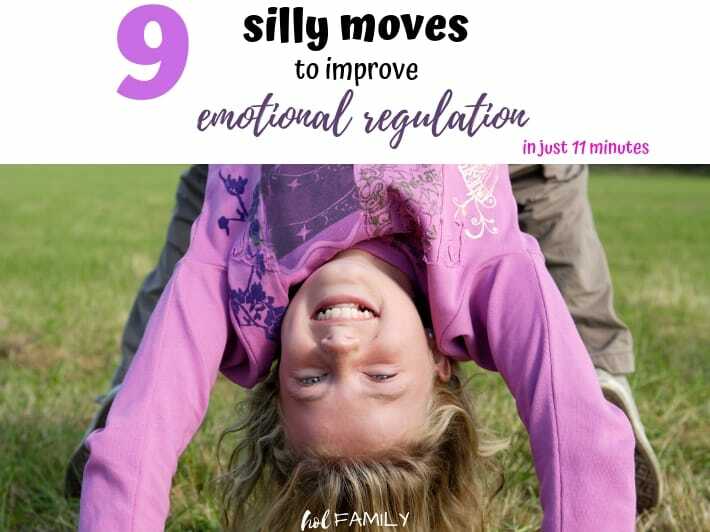 As a parent, the way we respond to these instances can either teach our child to express these feelings in a safe and appropriate manner or can reinforce their anxiety and teach them to bottle their feelings. When we react out of our own fear or take our child’s behavior personally, we risk projecting these feelings of fear and hurt onto our child. Children cannot handle feeling like a disappointment, and the stress and anxiety that this causes them only exacerbates the misbehavior. The Solution: Maintain an “all feelings allowed” rule in your home. It is okay to talk about using gentle hands and the importance of sharing, but be sure to also emphasize that feeling angry about a toy being taken away or sad that it is time to leave the park is okay. Acknowledging feelings while gently setting limits allows a child the space to work through their emotions in a safe and loving environment. The toddler years are a time of developing autonomy. Young children are learning about the world around them, gaining a sense of independence, and are seeking to understand how their actions create various reactions in others. One of the primary ways that toddlers learn appropriate behavior is by testing limits. You may have told your toddler that we don’t feed the dog food from the table, but your toddler wants to know if that rule applies to all food, at every meal, and from everybody. When they continuously feed the dog their food, they are testing the limits to see if this rule still applies and what will happen if the rule is broken. The Solution: Children need to see that we are unthreatened by their behavior, that we are in charge, in control, and are totally capable of handling the situation. Even if we are losing it inside, we need to act calm and cool on the outside. If we overreact, our children will certainly repeat this behavior again and again to see if they can elicit this same reaction in us. If we calmly and gently respond by reminding them of our limits and that these limits are firm, we will disempower the behavior and free our children to move on to the next lesson. Inwardly, I cringed as I recognized my own words coming out through his 4 year old voice. Just the day before, I had reprimanded him in anger in a similar fashion and now he was imitating my poor parenting moment with his sister. Toddlers are highly impressionable and they are like little sponges absorbing everything going on around them. It is very common and normalfor children to test out words or behaviors that they see in their day-to-day interactions. Parents, caregivers, siblings, relatives, peers, and television are all sources of behavioral influence for toddlers, with parents being the most influential models. Children will absorb our words and actions and reflect it back through their own behavior. If we yell at our children, they will learn to yell at us and others, if we spank our children, they will learn to be physically aggressive, if we yank things away from our children, we will see them yanking things away from other children. 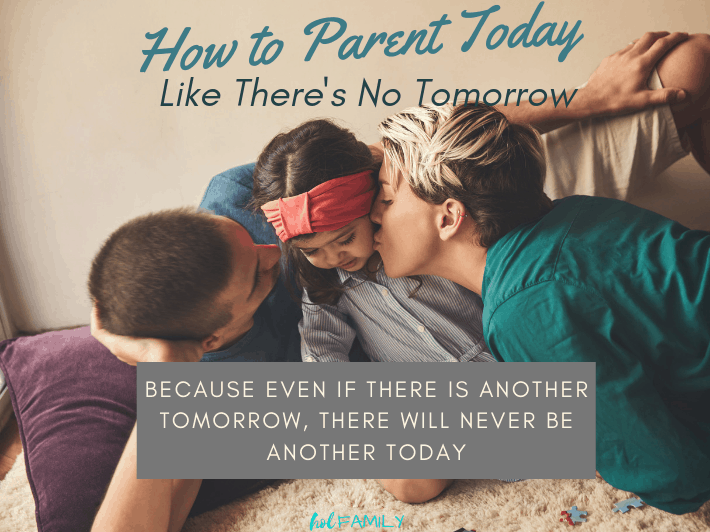 Have you ever noticed your toddler acting up more when you are your spouse is stressed or anxious, even if your toddler has no idea what the underlying stressor may be? Toddlers are very sensitive to changes in our moods and will display more frequent tantrums and misbehavior when they sense that something is upsetting us. The Solution: If we want our toddlers to be respectful, we need to treat them with respect. We can do this by getting down on their level when speaking to them, using a calm and gentle tone of voice even when we are upset, giving time-ins instead of time-outs, learning about positive discipline instead of punishment, and setting clear limits in a gentle manner so that toddlers know what is expected of them. It is okay for toddlers to see us upset and even stressed or anxious. Toddlers need to see that we are human and that it is okay for us to have big feelings in order for them to learn to recognize their own feelings. What is important is that we demonstrate healthy ways to label and process these emotions. Similar to the point above about children imitating behavior, toddlers will consistently re-enact situations that they have found exciting or frightening. I am sure we have all observed our children re-enacting exciting events like a visit from the Easter bunny or Christmas morning. Children learn a great deal through imitation and it is a sign of cognitive development. This seems cute and fun when they are re-enacting an exciting holiday or shopping trip. 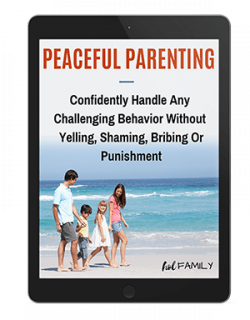 It is not so adorable when our children re-enact a tantrum, fight they observed us having with our spouse, or a behavior that resulted in us losing our cool. When toddlers deliberately misbehave and push our buttons, we often respond by labeling their behavior negatively, lecturing, or punishing out of frustration or anger. This creates guilt, fear, and shame that a toddler’s developing brain doesn’t know how to process. As a result, toddlers will return to these behaviors over and over as a way of coping with their underlying stress and uncertainty. The Solution: I’ve said it before, and I will say it again…remain calm at all costs. When we overreact to our toddler’s behavior, we are encouraging it to continue. Similarly, if we are guilty of wounding our toddlers (either physically or emotionally) when they misbehave, we will sever the bond of trust that we have with them. Children love to be the center of attention, and toddlers are no exception. 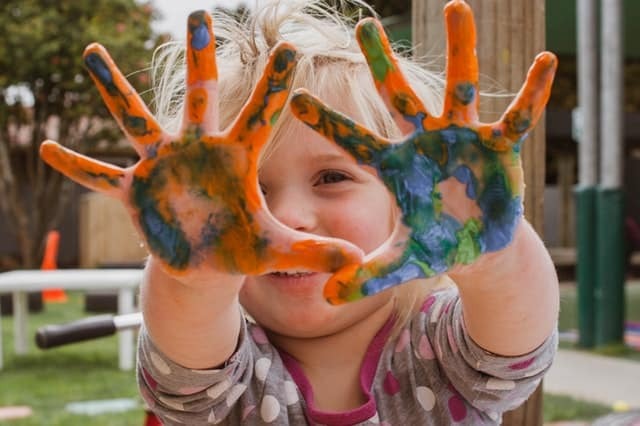 Independent play is typically something most toddlers haven’t learned to master yet, and even if they have…they still prefer to play with us! If one parent has been sick or away, you may notice an increase in tantrums and outbursts. The same is true if we have had a particularly busy day. I can’t tell you how many times I have found myself wondering why my children have been acting out so much only to realize I haven’t gotten down on their level and played with them all day. Too often we are “busy” with tasks like cooking, cleaning, important phone calls, emails, or glued to our phones. Our children need our undivided attention…down at their level, eye-to-eye contact, and actively listening to what they have to say. 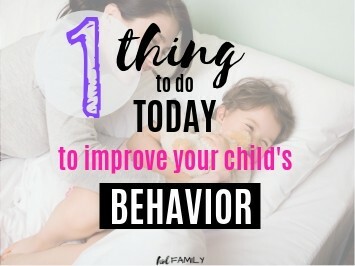 You can be sure that if your toddlers aren’t getting enough positive attention, they will turn to behaviors they know will get your attention…even if they aren’t positive. The Solution: One simple thing you can do to improve your child’s behavior today is to give them positive attention by playing with them. Ask them what they want to do, and spend some time doing it. Build a castle, blow bubbles, dress up. The key is to let them choose the activity, which also gives them a sense of control! Do this every day consistently and you will definitely see a drop in negative behaviors. 7) Is it Really Disobedience? One day, I walked into the bathroom to find my toddler standing there with an entire roll of toilet paper unrolled at her feet. I was initially outraged. What was she thinking? Why would she deliberately disobey me by making this huge mess? Doesn’t she know that toilet paper costs money and isn’t for playing with? Just as I was about to open my mouth to ask her these questions, my precious newly potty-trained daughter looked up at me and smiled. She explained that she had done her first pee on the potty all by herself and was trying to clean up where she had missed. Instantly, my anger melted away as I realized that my daughter’s intentions were good and she was trying to be helpful in cleaning her own messes. Sometimes, we need to see the situation from our toddler’s perspective. When we pause and consider their intentions, we may find that what appeared to be deliberate disobedience was actually our toddler’s attempt at being helpful, being independent, or even self-defense. The Solution: Don’t be so quick to judge your toddler’s behavior. Take a moment to pause and see the situation through their eyes. Did something just happen that precipitated their actions? Were they trying to solve a problem on their own? If you are unsure…just ask! Most toddlers would be happy to explain themselves as long as you ask without any judgment in your voice. Navigating the toddler years can be exhausting, even for the most patient parents. When a toddler deliberately disobeys, we can often find ourselves wondering what we are doing wrong, if our child is simply evil, or if somehow the storks got mixed up and sent us the wrong child. 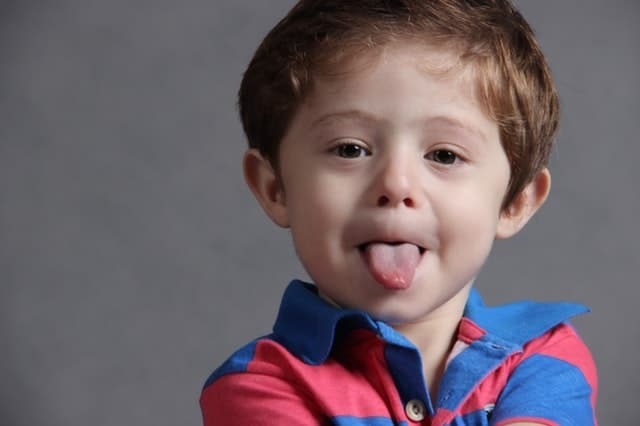 With a little investigative work, we can start to see how most of our toddler’s misbehavior stems from one of the seven reasons listed above. If you find yourself banging your head against a wall when your toddler knocks over the dog’s bowl for the third time today…ask yourself if there is an underlying reason and try out one of the solutions I’ve listed. 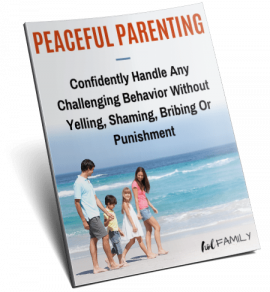 For more help on positive parenting solutions, be sure to grab your FREE Peaceful Parenting Guide to learn how to confidently handle any challenging behavior without yelling, shaming, bribing or punishment. Have you been able to identify one of the seven reasons for deliberate misbehaviour in your toddler? Leave a comment below and tell us about it! I think your incredible article might just have changed my family’s life. Thanks Julia! I’m so happy to hear that the article touched you and has made a difference for your family! 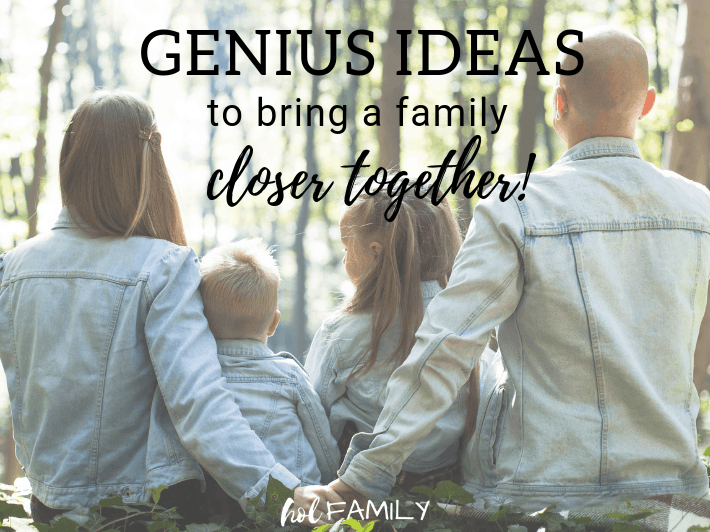 Learning about the underlying reasons why toddlers disobey and finding positive parenting solutions made such a difference in our family and that’s why I love sharing these ideas with other families too! Wishing you the best in your parenting journey! Be sure to check back in and let us know how things are going!